In a determined effort to spread the good word about this blog, we have recently embarked on the first Penzance Post poster campaign. In the near future, when you're out and about, look around for these bright yellow beacons. As winter draws in, we believe that focussing our minds on the positive aspects of our local area is a valuable mission. The poster says it all. 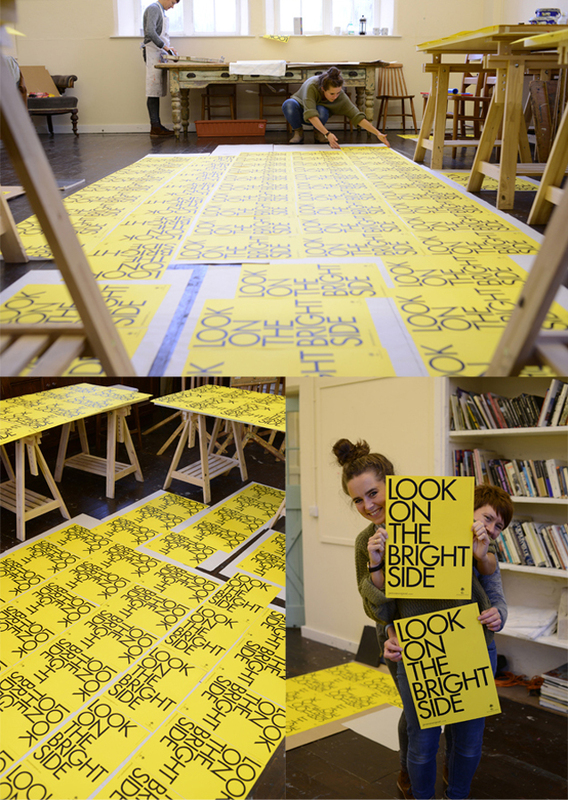 To make the posters very special we enlisted the help of the girls from Pirrip Press, Georgina Hounsome and Alex Higlett, a pair of talented and industrious designers, illustrators and hand-printers. 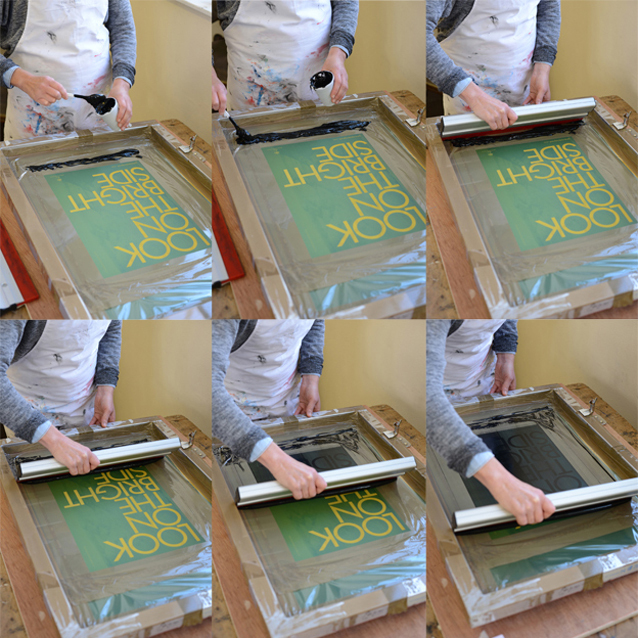 The images document the printing magic that was performed at Newlyn School of Art one day last week. 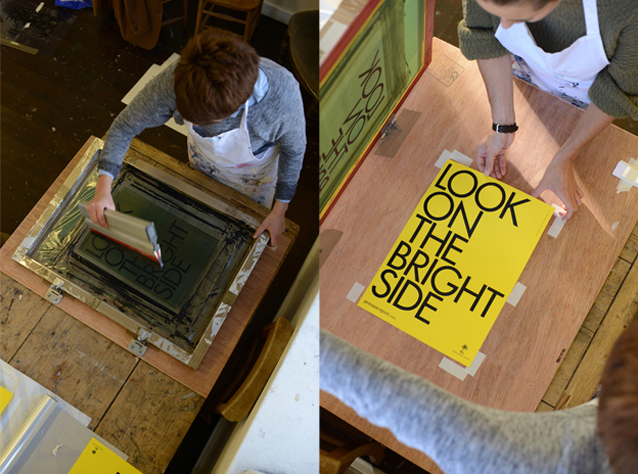 If you'd like to possess one of these limited-edition screen-printed posters, you can. From Saturday 10th November, a small number will be available from Bucca gallery in Newlyn and Daisy Laing in Chapel Street, just pop in and ask. They will cost you nothing, but in return all we ask is that you display your poster in a prominent place (window, car, workplace, etc.) for a few days at least.